Circumstances - Max Tancevski was last seen on 11 January 1993 at Newtown, Sydney. Max is known to frequent the Gold Coast area but usually returns within a few days. Fears are held for his safety and welfare. ON August 11, 1994 Hawkesbury fisherman Mark Peterson thought he had made a squid catch of the day when his net began dragging a heavy load. He was half a mile east of the mouth of Cowan Waters on the Hawkesbury River on an otherwise uneventful languid morning when he felt the net tug sharp. But it wasn’t till he lifted the haul on to the deck of the Lady Marion trawler that he made the grim discovery he had snagged a steel cross on which the body of a man wrapped in plastic bags was tied; a non-slip rope noose and wire was about his neck. The unidentified remains were quickly dubbed the “Rack Man” by the media and at the Glebe Morgue was simply tagged “Unknown Human Remains — Patonga (case E48293)” as for more than two decades speculation swirled about his identity. Now following advances in DNA technology and with little to no fanfare, the NSW Deputy State Coroner Paul MacMahon has ruled the mystery remains are that of 36-year-old Sydney man and known gambler Max Tancevski. And now the NSW Police Unsolved Homicide Unit is set to dust off the inquiry to look at how or why someone would kill him and dump his body in such a spectacular way. Police back in 1994 initially believed it was a gangland slaying, made so elaborate with the welded steel cross as a possible message to others who may dare to cross them. But there is nothing to suggest Mr Tancevski had any underworld connections although as a gambler it was known he was in debt to a few people. “The investigation into the circumstances surrounding Mr Tancevski’s murder was referred to the Unsolved Homicide Unit for future investigation,” a NSW Police spokeswoman yesterday confirmed to True Crime Australia. That new process includes assessing 500 cold cases from the past four decades by “fresh eyes” of specialist detectives to see whether technology and a new review can bring closure for families and loved ones. The spokeswoman appealed for anybody with information about Mr Tancevski to now contact CrimeStoppers. Mr Tancevski was last seen by his partner with whom he shared a house with in Sydney’s inner west suburb of Newtown on January 11, 1993. He was known to travel often to the Gold Coast to hit the casinos and alarms bells were not initially rung for a few days. It was known just before he disappeared he withdrew $1800 cash from the bank which while a lot of money in 1993 was not unusual for the self-confessed heavy gambler. Soon though his image would sit on missing persons registries in both NSW and Queensland with no new information on his whereabouts for more than 20 years. 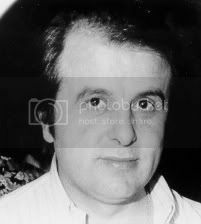 When the Rack Man was found his name was among five missing persons possibilities including rent-a-kill hitman Christopher Dale Flannery who disappeared in 1985 and Greek businessman Peter Mitris who was believed murdered in 1991. But dental records did not match. DNA technology was not great and no matches were made until in 2014 and 2015 when again the possibility it was Mr Tancevski was raised. “I find that Max Tancevski (born 13 May 1956) died on or about 11 January 1993 at an undetermined location within the Sydney Metropolitan area. The cause of his death was Blunt Force Head Injuries that were inflicted on him by a person, or persons, unknown,” the coroner recorded. It was not known whether he died on the cross — a 1.82m long flat steel on which two cylindrical solid metal bars were welded between which there was another rod bent into a L shape — or it was just to dispose of the body. There was nothing found on his clothed body except a lighter and a pack of cigarettes.